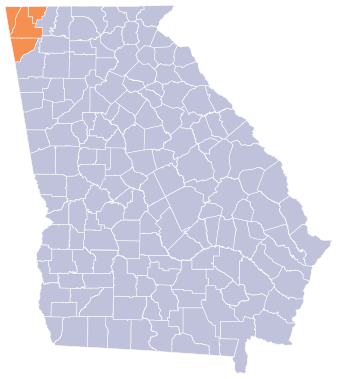 The economic well-being of Northwest Georgia is driven by its existing business and industry. Research indicates that as many as 70% of the new jobs created each year in our region are the result of local business expansions. to our business and industry partners in Catoosa, Chattooga, Dade, and Walker counties...identifying their needs, assisting with site locations, facilitating regulatory and permitting issues and minimizing obstacles to responsible growth and expansion. In addition, the NWGAJDA has developed a system to bring Northwest Georgia businesses together with the local suppliers of their goods and services, saving our business partners money while developing new business opportunities in the region. Over the next four years, Northwest Georgia Joint Development Authority is committed to helping our existing businesses remain strong and flourish and keeping them in Northwest Georgia. Conduct a minimum of 50 annual visits with existing businesses to assess opportunities for and obstacles to stability and/or growth. Engage local, state, and national incentive programs with a goal of providing direct support to a minimum of 20 businesses per year. Collaborate with our Economic Development Partners and government agencies to resolve local/regional issues restricting existing business growth. Establish the Northwest Georgia Business Resource Team to assist and respond quickly to companies with problems or expansion opportunities and to give local businesses better access to local resources. Establish key business sector groups to identify common obstacles and opportunities, such as identifying supplier “gaps”; enhancing area business-to-business contacts; evaluating co-op purchasing opportunities and encouraging other collaborative efforts. Help local companies identify and access new market opportunities regionally, nationally and globally. Provide similar assistance to identify and access quality suppliers/vendors and adopt cost-effective “green” initiatives. Work with local manufacturing managers to develop an on-going corporate HQ contact program to promote the region as an attractive place for new contract placement and investment. Survey local businesses to determine workforce needs and advocate enhancing the region’s workforce through technical colleges and state support of on-the-job training.